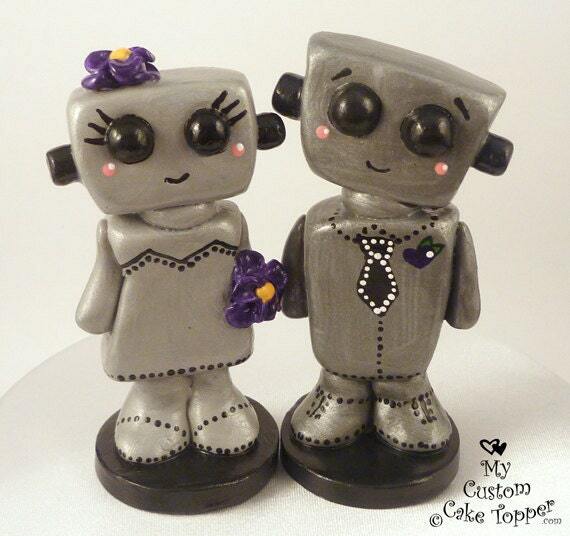 Robot Love Wedding Cake Toppers. 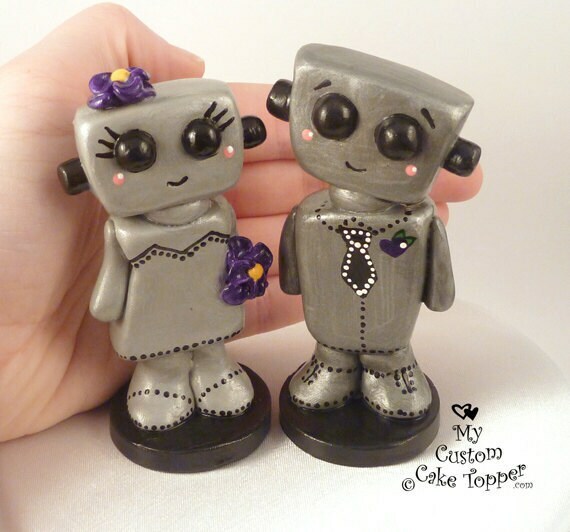 Something fun and quirky for the bride and groom with a love of robots! 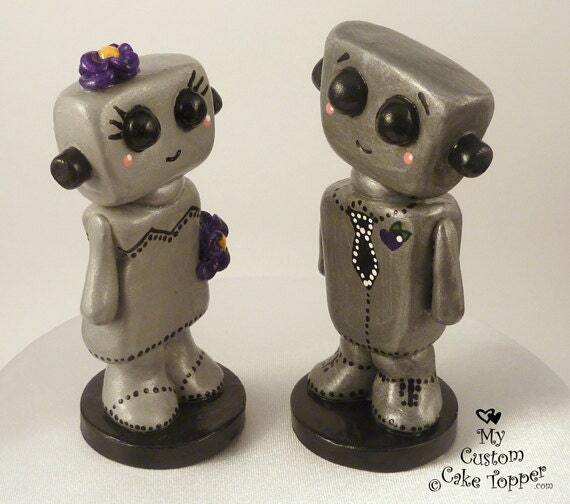 My sculptures can last a lifetime, with proper care, a perfect keepsake from your special day. Groom Love Bot is approx. 3.75" tall by 1.5" wide, and is shown on a 6" round. ♥ Your due date (which is very important to ensure your place in line). Every sculpture is made to order and is unique, so it might vary slightly from the examples shown. 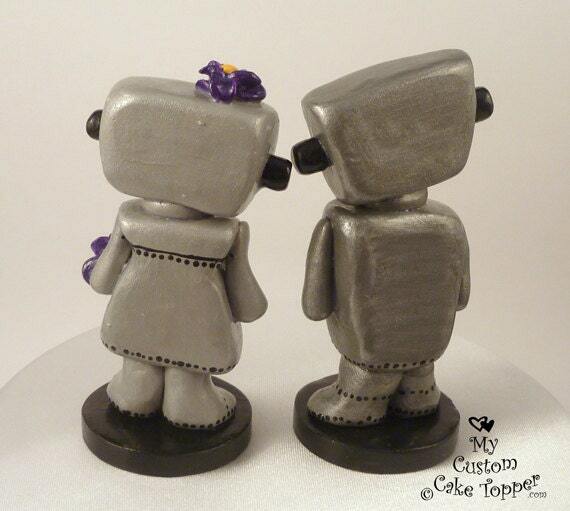 These cute bots are hand cast from my original sculpture, they are then hand painted and hand detailed.